An almost regular look at the last seven days of reggae vinyl sales on ebay. Following on from where I left off last week with the Pama LP’s; a copy of the very rare and sought after Best Of Camel LP came up this week and even in VG condition this made Â£236 ($363). 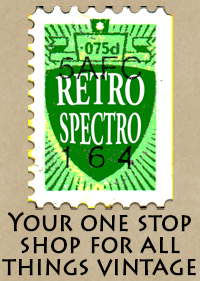 This price is not unusual as copies in the EX region have been known to sell for up to Â£400. This Camel LP sums up why reggae was primarily a singles driven market. The tunes on the LP are generally good but there is nothing on there that you could’t pick up on original 7″ and with the exception of a couple of tunes not for top dollar either. The only extra is of course the cover which is admitedly great but does that really justify the expense? Record collecting is a strange business. Assuming the two “less than 30 days” are both Carlos, which they almost certainly are, then the winning bidder should be paying in the region of Â£16.00! 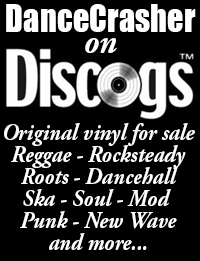 The area of reggae vinyl that is producing some of the highest prices on ebay at the moment is digital reggae from the second half of the 80’s. The recent popularity of 80’s digital sounds can largely be traced back to the Unity Sounds LP released by Honest Jon’s and a few compilations put out by Pressure Sounds between 2000 and 2003, these turned many new people on to the sounds and that snowballed to the situation where we are today. By far the most indemand digital tunes are one away, minor chord releases, given the relatively short period that this stuff has been big news great unknown tunes are still being discovered. One obscure digi tune that made a solid price last week was Hard Rock – Them A Hustler on the Hard Rock label that made Â£127.00 ($195). This has come on ebay before so it isn’t totally new but the price is slowly but surely going up. Contrast this with Donovan – Tek Life on the Photographer label, which is every bit as good if not better than the Hard Rock tune but this is a reasonably well know digital tune and copies come up for sale fairly frequently. The price on this has also slowly risen over the last few years, the copy this week made Â£42 ($64) which seems only a little on the high side but not too mad. The UK Bubblers label, a subsidiary of Greensleeves for UK based artists, isn’t really a label that you’d expect to have produced in demand digital classics but there are a few big tunes on 12″ on the label and copies of a couple of them were on ebay this week. 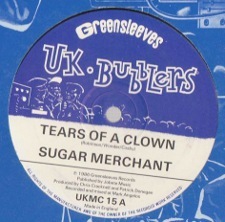 Sugar Merchant – Tears Of A Clown regularly reaches in the region of Â£30-Â£60 so the copy that sold for Â£41 ($63) this week was just about on the money. Incidentally Sugar Merchant ran with Saxon Sound for a short while , hence this single, and went on to do vocals in various indie/dance bands. He is also a highly regarded revival selector. Tannoi – Rude Boys/Gunshot Salute Tannoi released two singles on UK Bubbles that are worth seeking out, this one and Worries And Troubles (which is on the same rhythm as the Sugar Merchant tune above). This latest copy of Rude Boys went for Â£33 ($53) which was a little on the high side.